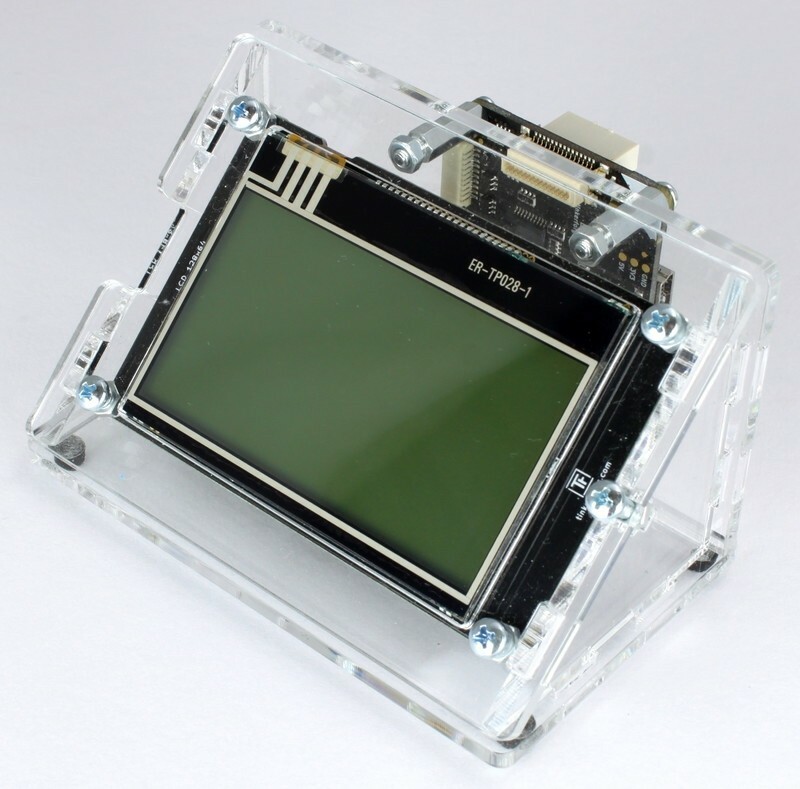 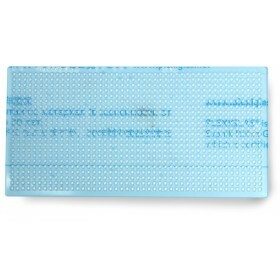 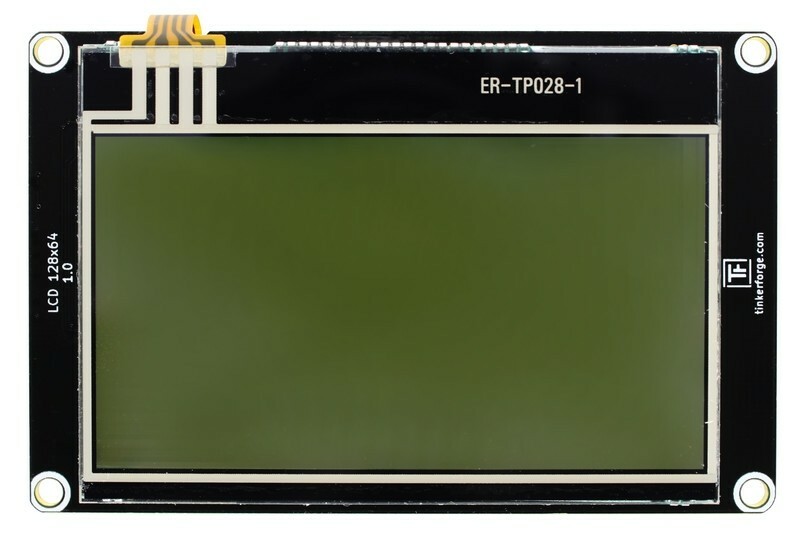 The LCD 128x64 Bricklet is a LC Display with a resolution of 128x64 pixel and resistive touchscreen. 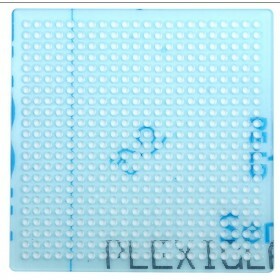 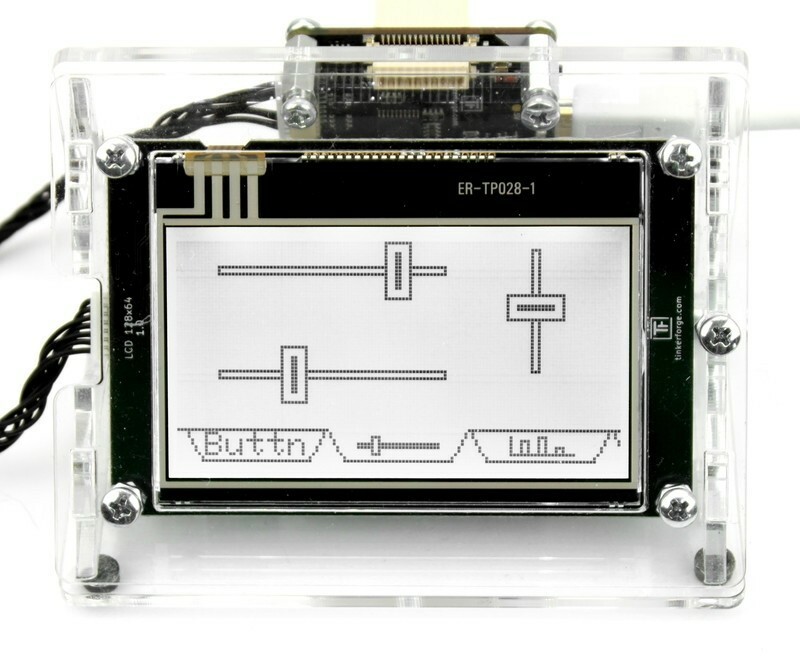 Each pixel can be set individually, so the display can show graphics. 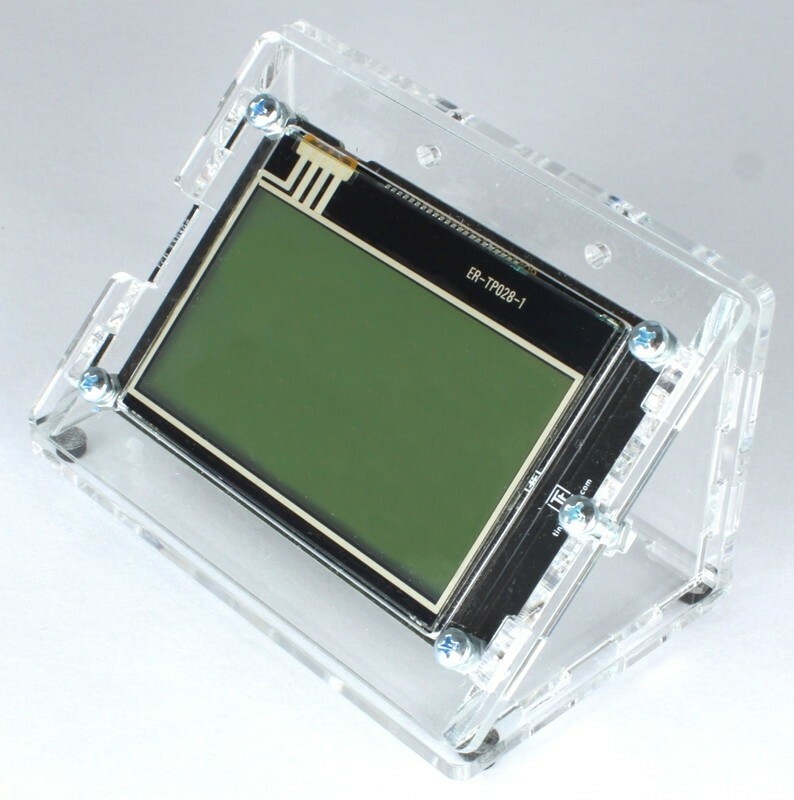 This allows for more versatile and detailed drawings on the display, compared to the alphanumeric LCD 20x4 Bricklet with its fixed character display. 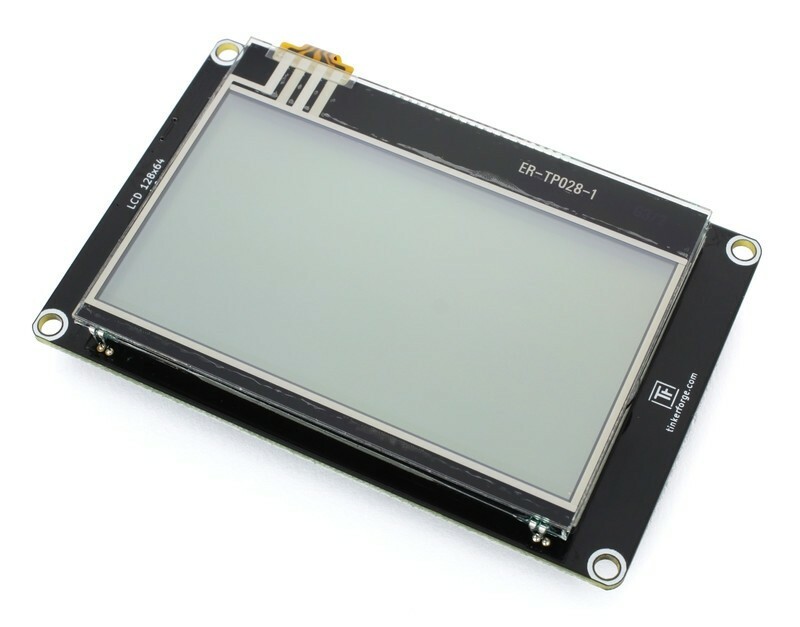 The screen size is very similar to the screen size of the old LCD 20x4 Bricklet, so it can be used as a direct replacement. 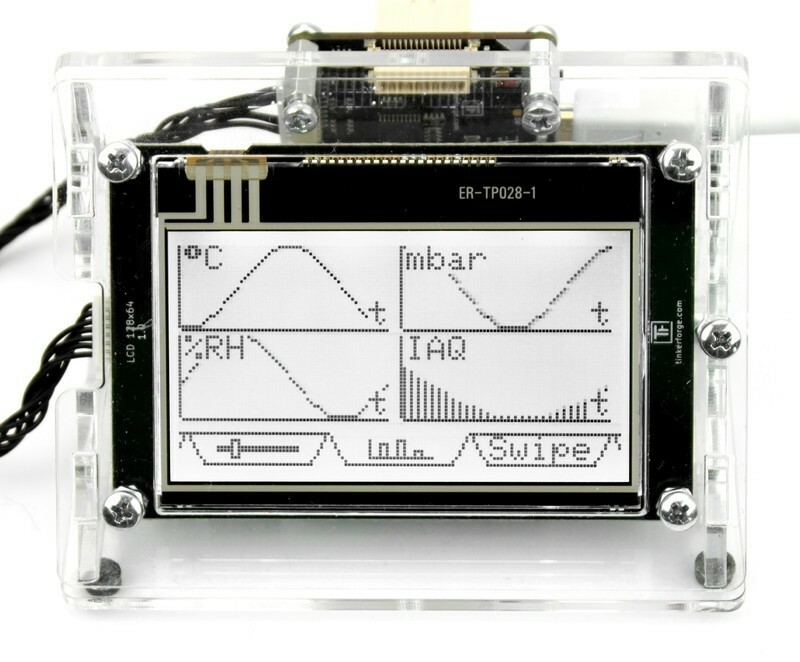 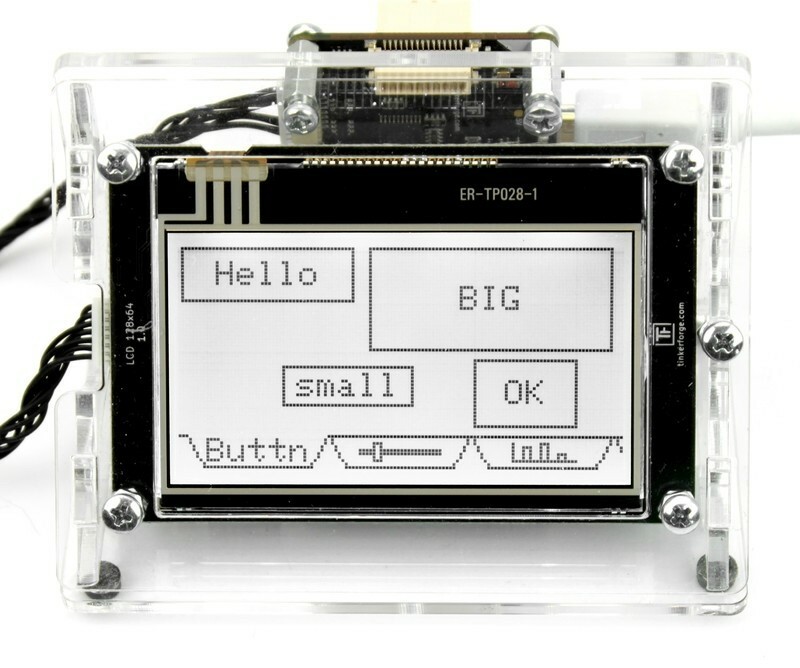 Text can easily be drawn onto the display with the embedded font of the Bricklet. 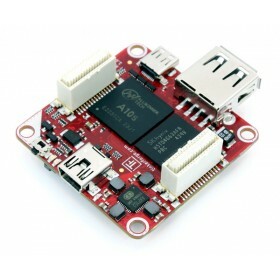 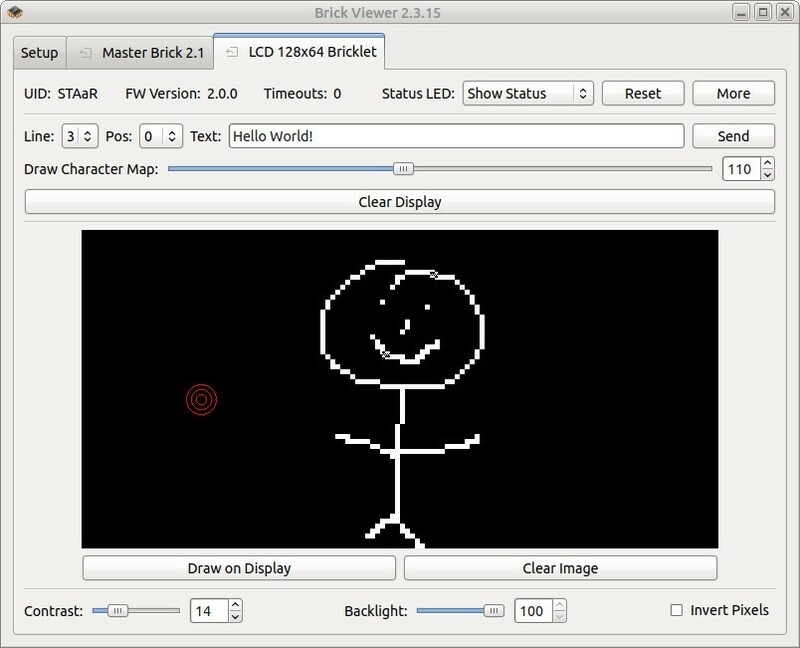 The Bricklet also comes with an embedded GUI. The touch screen has easy to use callbacks with x/y coordinates and touch pressure. 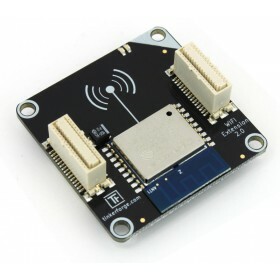 The Bricklet can automatically detect standard swipe gestures. 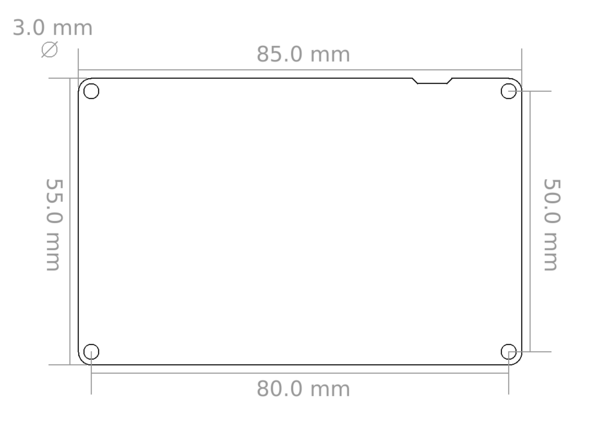 High update rates of up to 60Hz are possible. 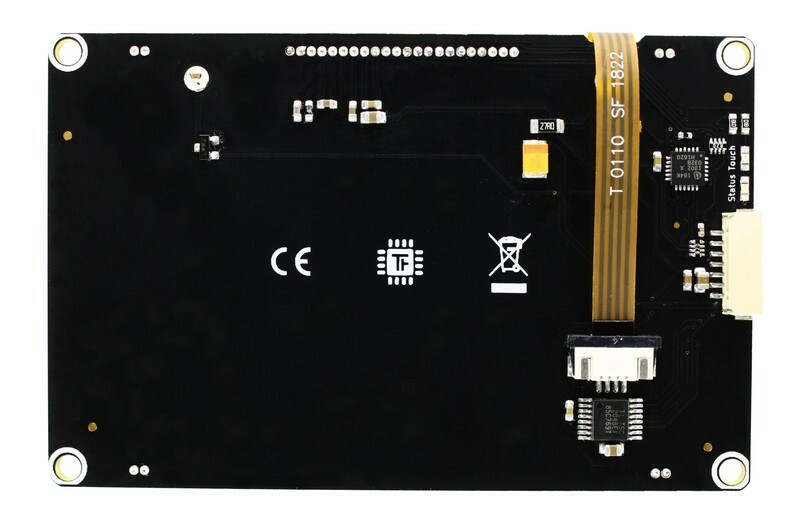 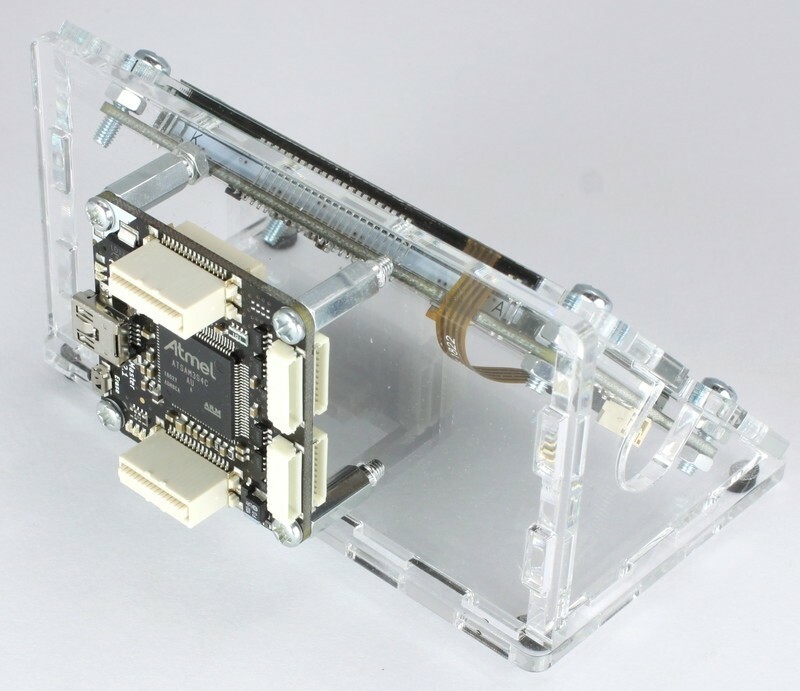 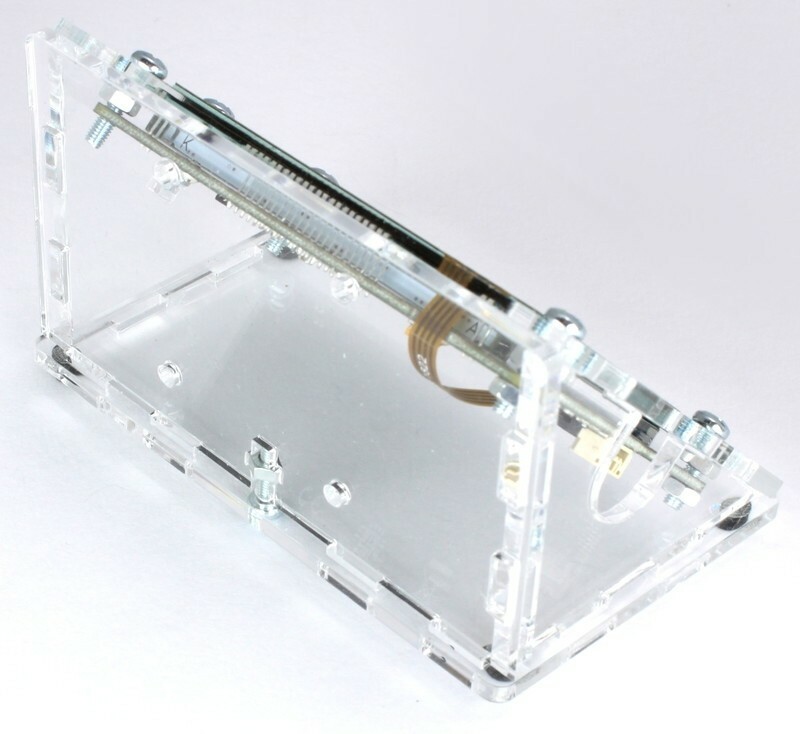 The LCD 128x64 Bricklet has a 7 pole Bricklet connector and is connected to a Brick with a 7p-10p Bricklet cable.